Over the years, people have tried some pretty crazy and downright ridiculous things in the pursuit of weight loss. But just when you thought that things couldn't get much worse than drinking cabbage soup all day, they most definitely did. 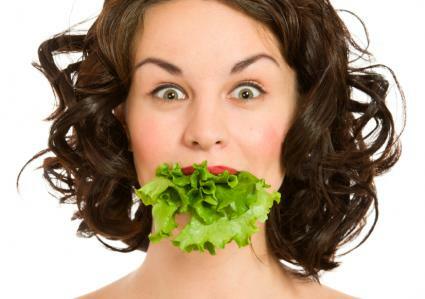 Check out our round-up of eight crazy diets people actually do, which we are most certainly not suggesting you try! Owing perhaps to the fact the baby food is totally repulsive to adults and therefore probably makes you not want to eat at all, the baby food diet relies on eating...yes! 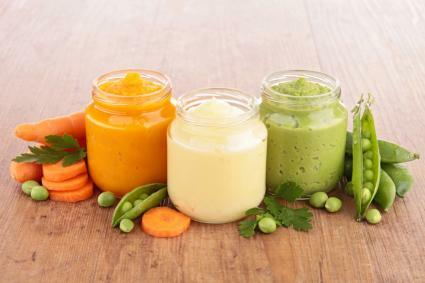 you guessed it: jars and jars of baby food in a bid to keep trim. Supposedly, this diet is a winner because most baby food is strictly calorie-controlled, portion-controlled, crammed full of wholesome goodness and veggies (albeit in mush form), and free from preservatives. The diet is reported to be the brainchild of celebrity trainer Tracy Anderson. Celebrities who have given up chewing in favor of baby gruel include the likes of Jennifer Aniston and Reese Witherspoon. A diet for the ethically minded, Kangatarianism involves eating only vegetables and excluding all other meat except kangaroo meat, based on environmental and ethical grounds. Some people like to think Kangatarian is essentially a vegetarian diet with the addition of kangaroo meat. Heralding from Australia, where kangaroos are the unofficial symbol of the land, this diet is all about extolling the virtues of eating sustainable meat. Believers maintain that kangaroo meat comes from animals requiring no extra land or water for farming and which, unlike cows, produce little methane (greenhouse gas). If Australia has Kangatarians, maybe next up for us is Eagleatarianism? Otherwise known as the Breatharianism Diet - or living off thin air and sunlight - this diet is based on the assumption that it is possible for a person to live without consuming any food. At all. Ever. Some Breatharians even claim that water is not necessary for survival. Instead, they believe that humans can be sustained solely by prana, the vital life force in Hinduism, of which sunlight is one of the main sources. As a young Hollywood hopeful, Michelle Pfeiffer was reportedly a follower of the Sunlight Diet, before realizing, not surprisingly, that she couldn't sustain herself on it. And she clearly was not the only one, as the Sunlight Diet has been known to claim lives. 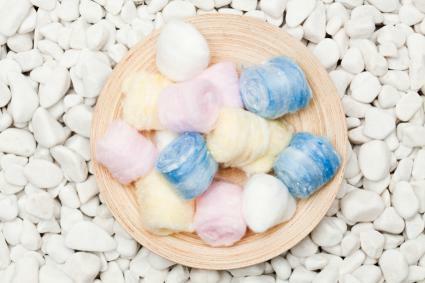 Incredibly, some people in search of a slimmer waistline will go to any lengths in the name of weight loss - including ingesting cotton wool balls! Yes, cotton wool balls soaked in juice are apparently just the ticket when it comes to keeping hunger at bay. Another lightbulb trend we have the fashion industry to thank for, apparently the logic here is that eating cotton balls soaked in juice will help you to feel full without consuming food. The diet broke into the public domain after Eddie Murphy's daughter, Bria Murphy, claimed to have seen models eating cotton balls dipped in juice to stay skinny. Diet or eating disorder? You decide. Yes, as disgusting as it sounds, for some, urine has been reinvented as a weight loss miracle. Being thankful for small mercies, the urine diet doesn't require drinking urine - just injecting it on a daily basis. And if it helps soften the blow, it doesn't mean drinking your own, but in fact, that of a pregnant lady. But why? Apparently, the trick is not about the urine itself but a hormone called human coriogonic gotrophin (HCG) which it contains. Theoretically, this fools your brain into thinking you are pregnant, thus speeding up your metabolic rate. The urine injections have to be accompanied by a very strict diet of 500 calories a day. Followers of this diet swear by its success, which has been reported to result in people losing a pound a day. Be warned - this is another diet with serious ew! factor. 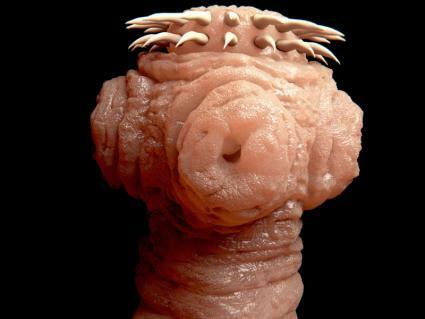 This drastic method of weight loss involves ingesting...yes ingesting an actual tapeworm cyst in a bid to fight the fat. In the United States and many other countries, the tapeworm diet is strictly prohibited. However, in some countries like Mexico, it is still offered as a short cut to the figure of your dreams. Reportedly, the tapeworm grows within and interferes with your digestion and absorption of nutrients, enabling you to consume more calories and still lose weight. Some even report a loss of one to two pound per week. But the flip side of this is that the paraside also interferes with the absorption of important vitamins and minerals, which can lead to nutritional deficiency. Frighteningly, those who dare to try this method of weight loss are also looking at some pretty gruesome and life-threatening outcomes. These can include intestinal blockages and malnutrition, not to mention the formation of cysts in the liver, eyes, brain, and spinal cord. However, thankfully, once the target weight loss is reached, a de-worming treatment is all it takes to kill the tapeworm. Forget about rose-tinted glasses - in the dieting world, it's all about blue. 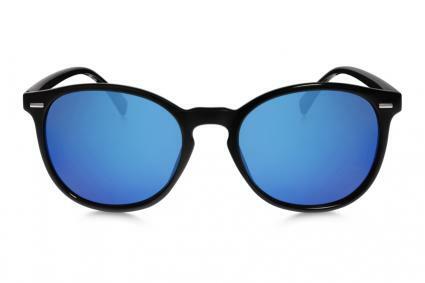 The idea of this trend, which heralds from Japan, is that dieters wear blue-tinted glasses to eat. The theory is that the blue tint makes food look less appealing, owing to the fact that few foods are naturally that color. Those sporting the glasses are supposedly subconsciously turned off from eating when faced with calorific foods. Another diet with a big placebo question mark hanging over it, this regime is currently receiving mixed results. That being said, we can't help but wonder whether this could really be the reason for Johnny Depp's love affair with blue-tinted glasses? "Yummy! Let's eat some clay," said nobody ever. If the mere thought of eating clay alone isn't enough to help you shed those pounds, then actually ingesting it apparently will. To participate in the Clay Detox followers drink one or two clay drinks per day for a few days, or in some cases, weeks. The clay swells to 12 times its original volume in the stomach, curbing hunger pangs and reportedly sucking away toxins and boosting metabolism. Some experts say the dangerously high levels of arsenic in clay could cause kidney failure, brain and nerve damage, and cancer. Celebrities who have eaten clay include Elle Macpherson and Zoe Kravitz . Hmmm, these diets are definitely weird, crazy, and for the most part, totally beyond what we are willing to put ourselves through to shed a few pounds. Think we will just stick with Paleo.